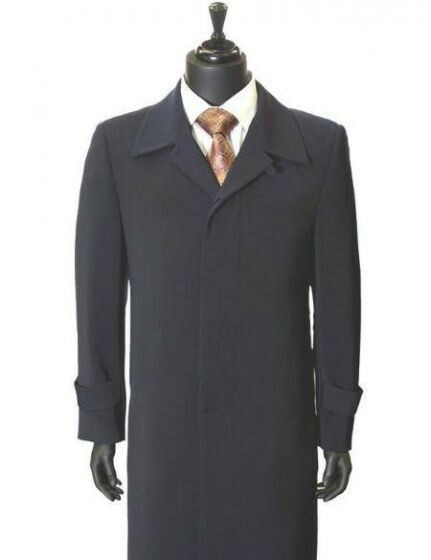 ->Want to shop an all-weather men’s overcoat that offers both protection and style? Then shop this classic topcoat. ->Crafted from high-quality Microfiber Gabardine material, it features single-breasted front, hidden button snap closure, spread collar styling, and sleeve strap secured with a button. ->Centre vent at the back guarantees ease of movement. Shop now!